I have a to-do list which includes, restaurants, events, traveling and more. Today, I am going to blog about a restaurant that I’ve scratched off the to-do list and which I really enjoyed. Arcade Midtown Kitchen is a new American cuisine restaurant, located at the Historical Pearl Brewery.I am all about first impressions, which gladly Arcade passed. As we arrived I spotted young professionals and a crowd that ranged from 25-50 years. The restaurant had a great atmosphere with a packed bar and full tables, and it was only the middle of the week. 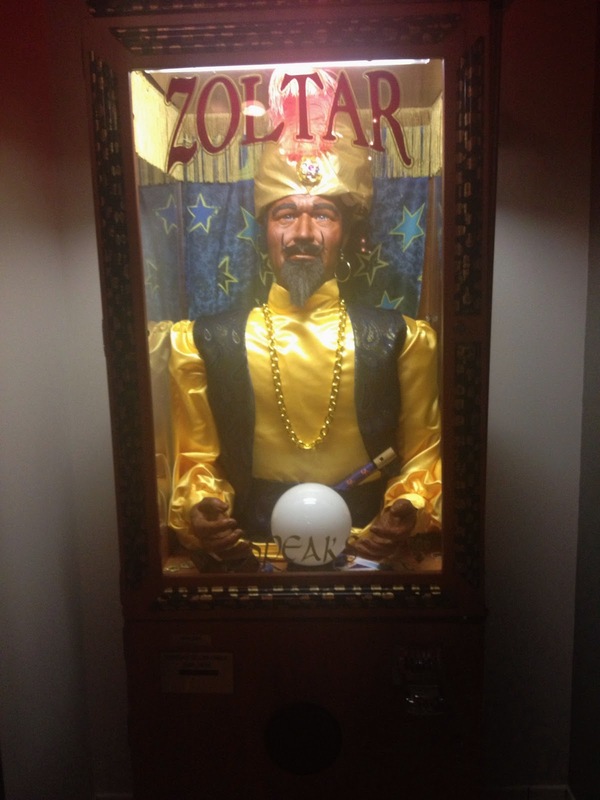 On my way to the restroom I had a pleasant surprise, Zoltar from the movie "Big" (starring Tom Hanks) was there. It gives it the perfect touch, since the restaurants' name is Arcade. Plus it's quite intimidating. I surely do love a restaurant with an extensive list of wine and Arcade is not the exception, so I ordered a white Zinfandel since it's great with sea food. We started off with the Chile and Lime Calamari, as an entrée, it was so good that by the time I wanted to take a picture of it, it was all gone. From that moment I proclaimed myself a calamari fan, this has been by far the best CALAMARI I’ve ever tried. 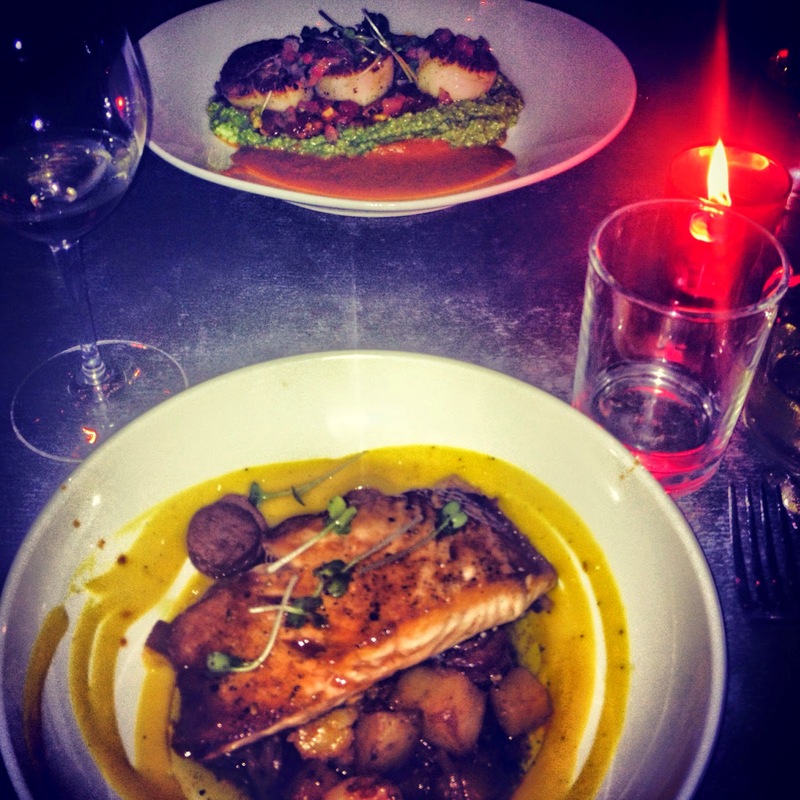 For the main course I order the Ancho Chile Salmon with Mango Mojo and my date ordered the George’s Bank Diver Sea Scallops. Both dishes were finger licking good! Sadly, this time there was no room for dessert, but I will definitely go back for the calamari and tryout some other dishes. I totally recommend Arcade Midtown Kitchen.